Hello Everyone! 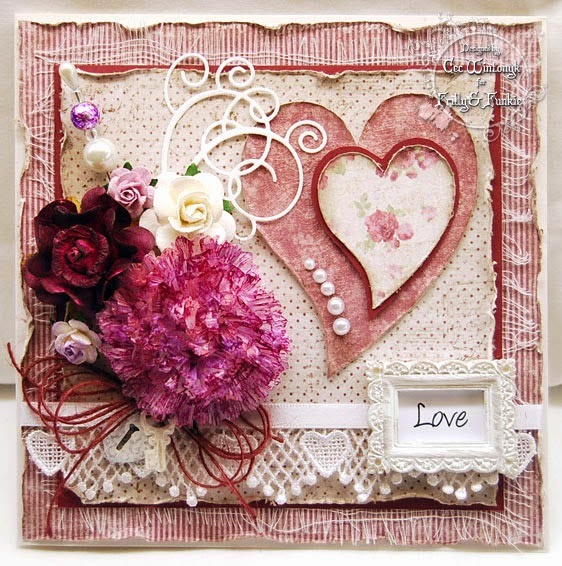 Pamellia here hosting the second week of my very first challenge at Frilly and Funkie! 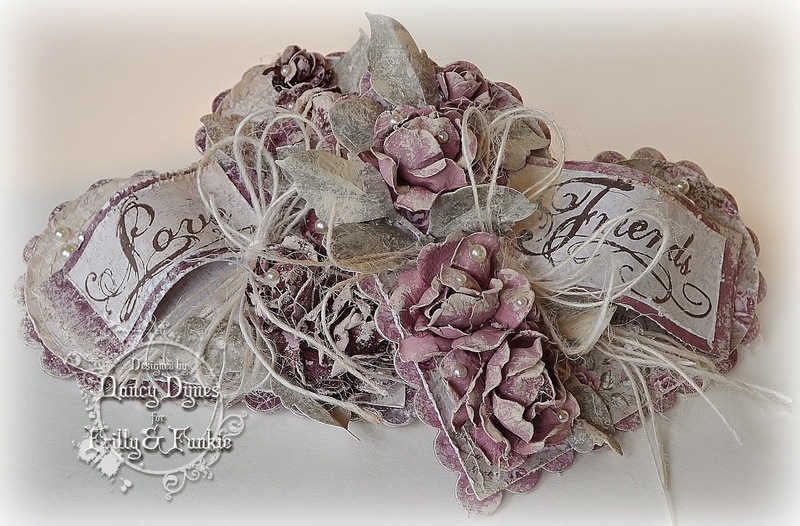 With the most romantic day of the year just around the corner, I thought it only fitting to start working on some some vintage or shabby chic projects for Valentines day...or should I say Valen-Twines day!! You can make any type of creation you want, but you must include some sort of twine, jute, cord or string somewhere on your project. OK everyone, now it's your turn! We can't wait to see what you come up with! PERFECT...love each and every project here! Lovely projects by the DT"s...surely love is in the air! Fabulous projects from all the team - love the play on words! 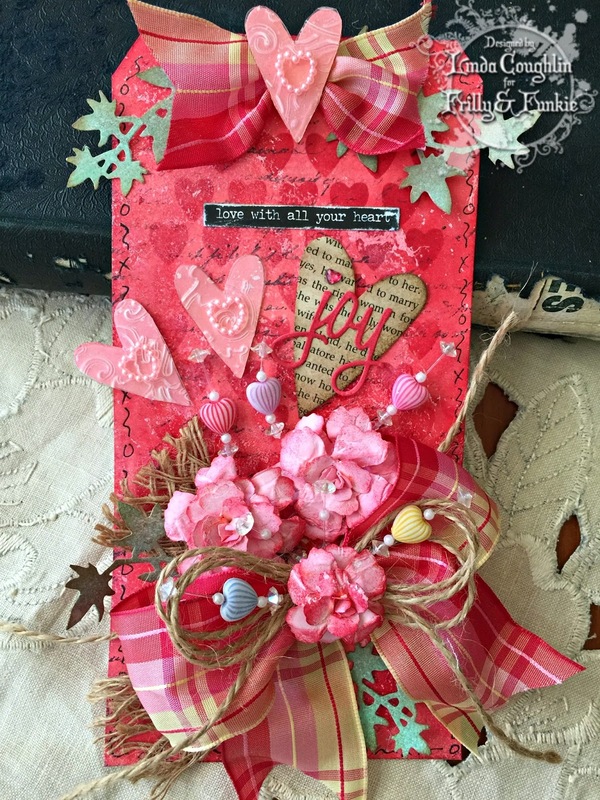 Awesome inspiration Valentine's from the Frilly side of the team! 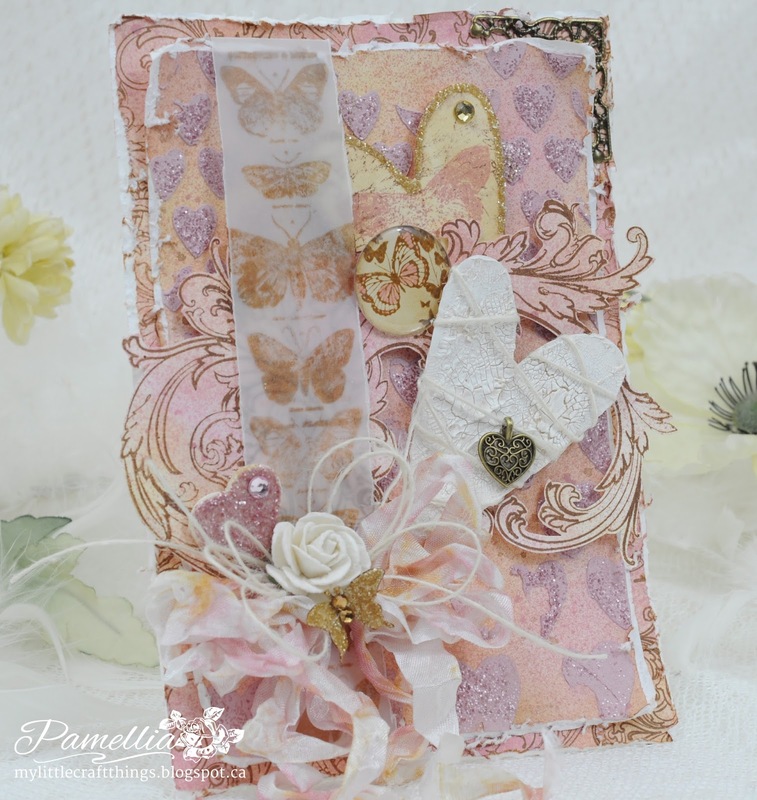 Great theme with a twist, Pamellia! Looking forward to seeing what the funkie side looks like! I hope you don't think my project too un-Valentinish! It really is a story about love and wistful hearts. Beautiful projects, each and every one! Great job hosting, Pamellia! 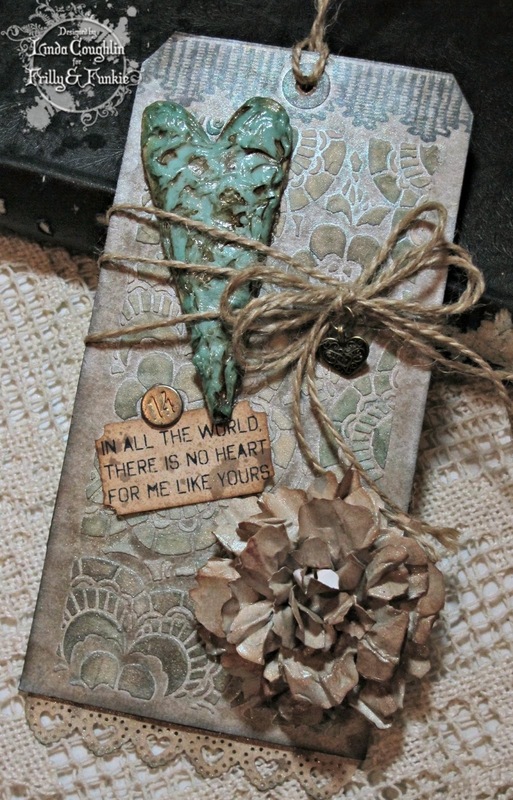 Love the challenge theme and of course all the wonderful Valen-twine projects from the DT! Putting on the thinking cap! What fabulous creative Work! Love all the different techniques and ideas...thank you everyone for sharing! 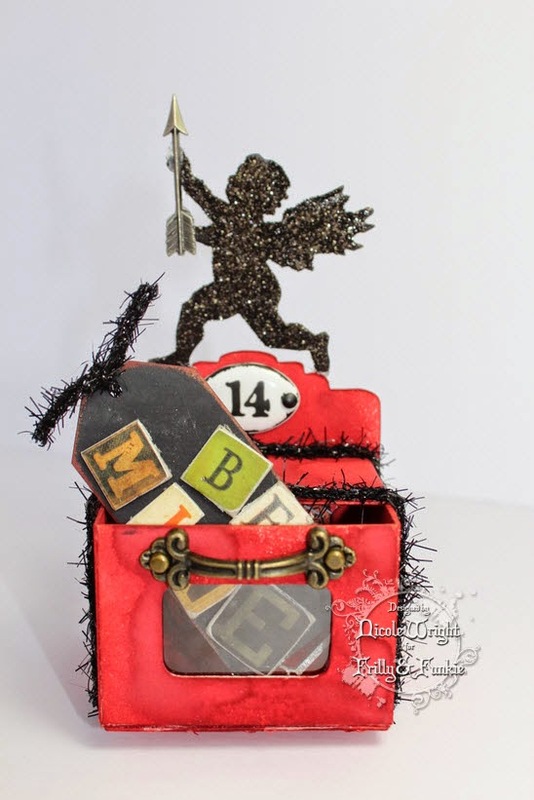 A fun challenge, thanks so much Frilly and Funkie! Gorgeous!! such lovely very inspired creations, wonderful!! !